New Construction in beautiful Atlantic Beach. NO HOA & NO CDD fees. This 3 Bedroom, 2 Bath, 2 car garage is located on a quiet, peaceful cul-de-sac. 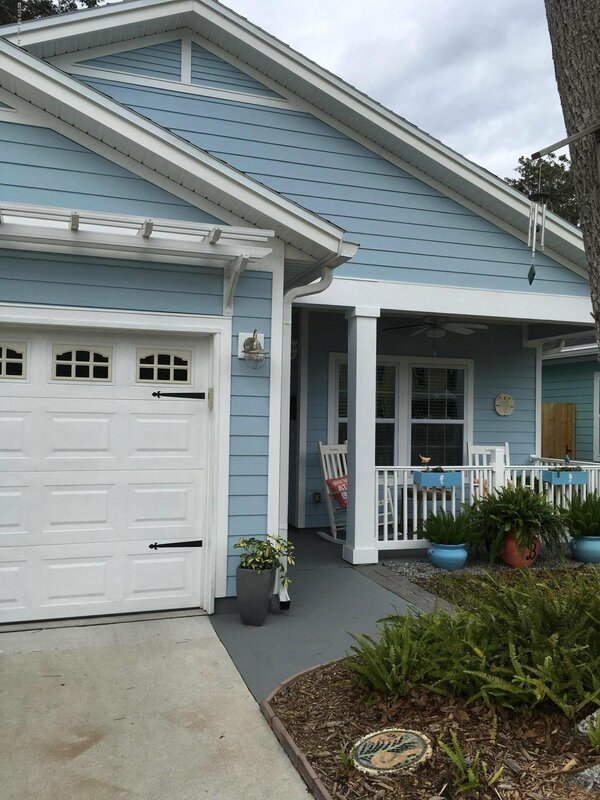 Exterior Beachy blue hues & stained wood accents complement the paver drive way, giving a rustic beachy vibe. Enjoy the relaxing lifestyle of living at the beaches where shopping, dining, entertainment & a walk in the sand is just a short distance. Tongue & groove 9 foot ceilings, soft-close cabinets, california-style granite counter top, touch kitchen faucet & prep Island, his & her vanities & walk-in closets are just a few of the upgrades that this home has to offer. It's just a short commute to Mayo Clinic, Hannah Park & NS Mayport. Make your appointment today! It's not too late to select the final finishes & put your spin on it! Listing courtesy of KEVIN MARTIN, BROKER.